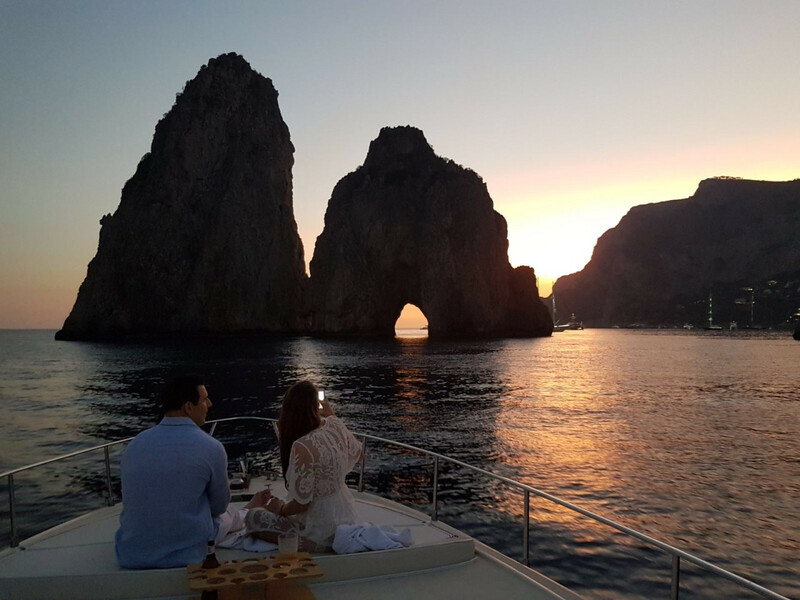 This experience offers the opportunity to visit Capri - also called the "blue" island - and its wonders such as its stunning coastline, its breath-taking cliffs and its scenic spots. 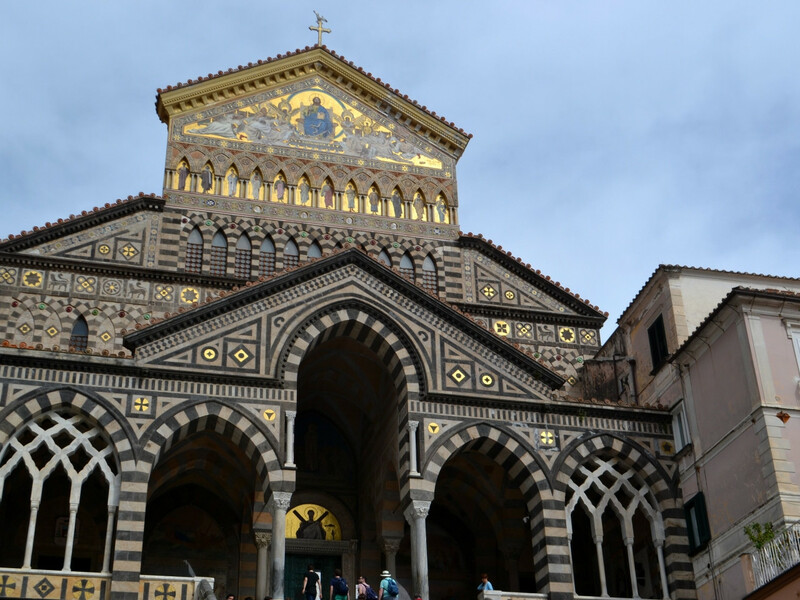 With our boat excursion , you’ll enjoy the unexpected beauty of hidden spots by a cruise around the coastline, you'll have the opportunity to visit the famous Blue Grotto (optional stop), explore the city center and admire the famous Piazzetta and Augustus’ Gardens. 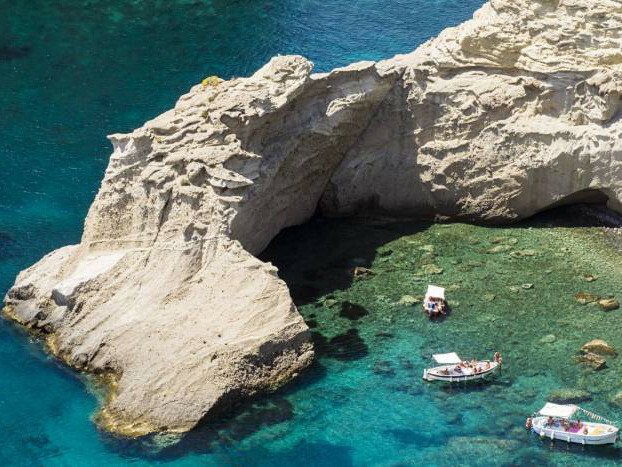 Capri is the pearl of the Campanian archipelago and even Augustus and Tiberius chose it as a refuge. Don’t miss the chance to swim in its outstanding cobalt blue waters! 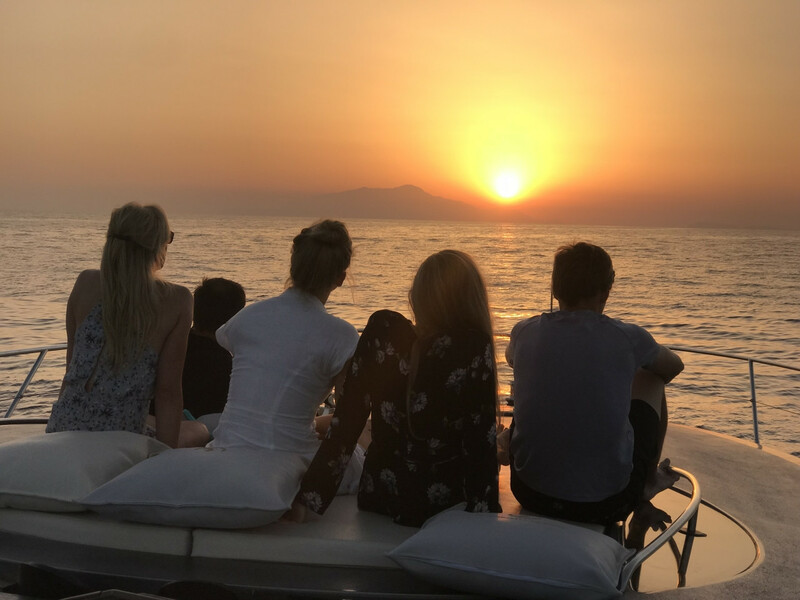 Spend an unforgettable day on board of one of our luxury motorboats! The Blue Grotto (optional visit after paying the entrance fee). 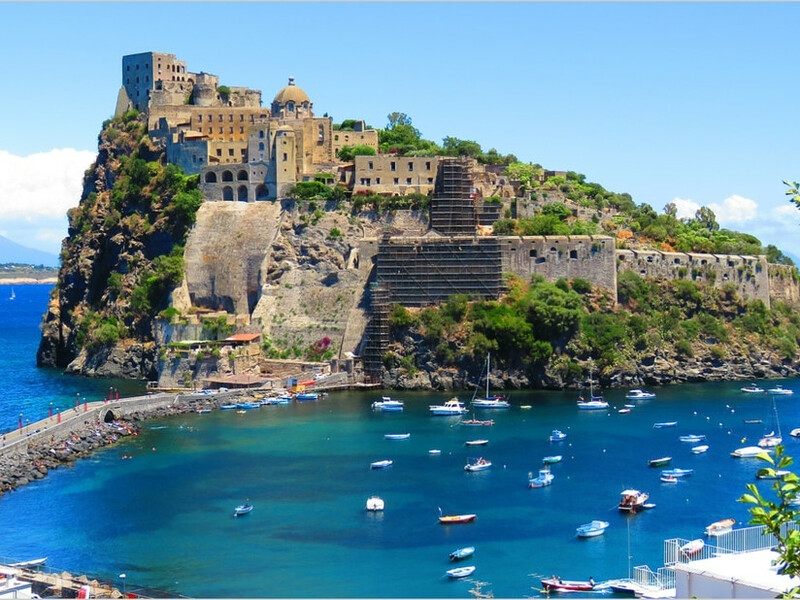 Tour through Sorrentine coastline (for tours departing from Sorrento), including Marina Grande, Villa Pompeiana, Queen Giovanna’s natural pool and Massa Lubrense with its green waterfall and historic Saracen tower. 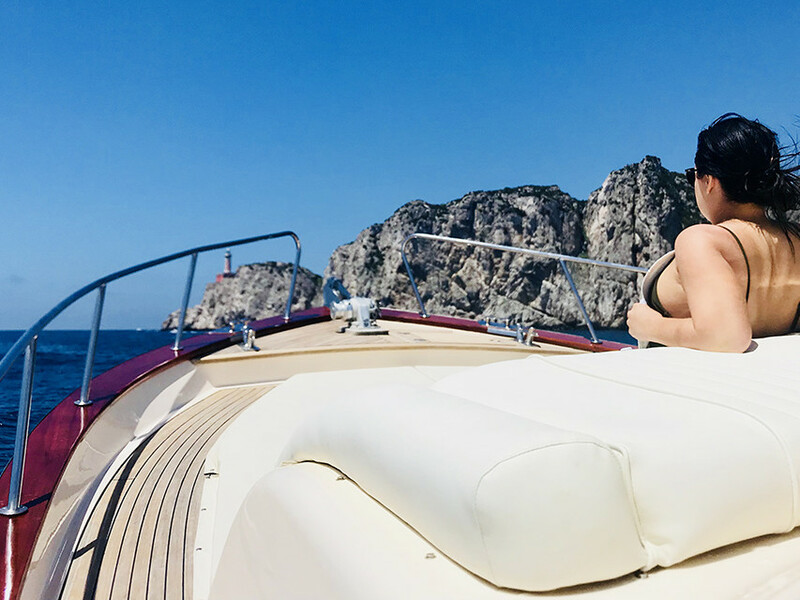 Navigation and route to the Green Cave with its beautiful emerald green waters, passage under Faraglioni - the magic guardians of Capri – the White Cave, Villa Malaparte and the Natural Arch. Stop at the Blue Grotto and optional visit, fee required (weather permitting). Free time to spend in Capri. 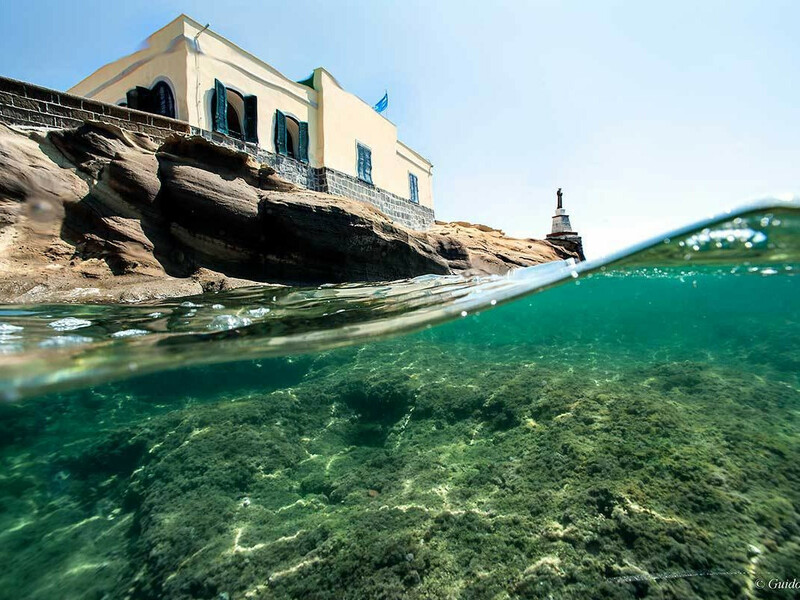 Stop in one of the many bays of Capri and swim in the beautiful cool and crystal clear waters. Stop for lunch by a restaurant accessible only by sea. 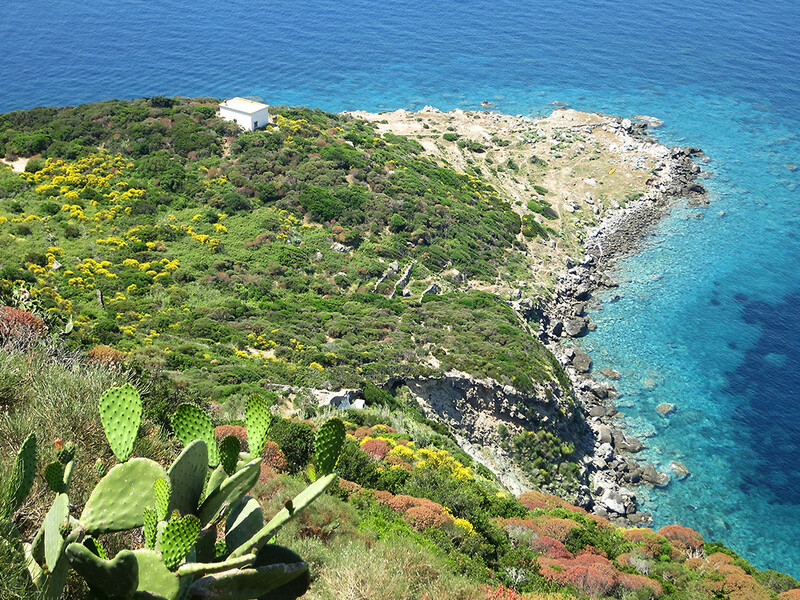 We are used to recommend “il Riccio” restaurant, “Bagni Tiberio” and “Lo scoglio delle sirene”.